As family history/ancestral researchers, it is always a good thing to get extra help in locating one's ancestors. TreeTips, does just this, it helps you research and locate records and family trees from the information in your own data files. In partnership with MyHeritage, FamilySearch and Findmypast, Ancestral Quest provides TreeTips in your own datafile. As you enter in the information you know about an ancestor, AQ will use the combined hints of these three web-based companies to search over 12 billion records for additional information to help grow your tree or to provide you with missing sources from known but not proven information. To make sure these are activated, go to the View in the AQ program menu and make sure the hints are all checked. 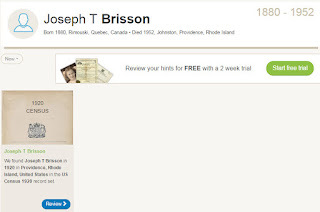 Note that for this individual, there are hints from Findmypast, FamilySearch and MyHeritage. 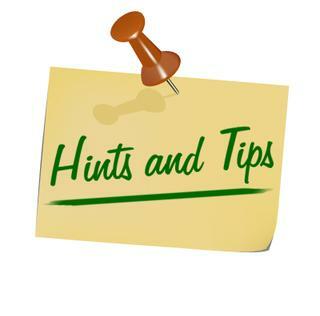 Hovering on each Icon shows you how many hints there are for you and clicking the Icon takes you right to the hints. This is the actual 1920 US Census for Joseph Brisson and his family. I can easily attach it to my records as a source if I need to. Additionally, I'll be able to confirm or deny this is a good hint. Each Icon does the same, it brings you to records and/or trees from the above sites. 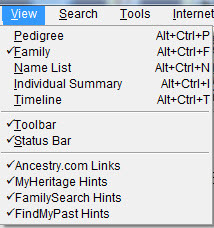 This is one of the new features in Ancestral Quest 15, this author has found some new discoveries using this feature and is looking forward to possibly breaking through some brick walls and also adding some additional missing sources using TreeTips.